Kimochis look like toys, but they are actually tools. Communication tools. The Kimochis educational program is built upon sound research and theories of child development and social emotional learning— the Five Core Competencies from CASEL; the Teaching Pyramid Model for Positive Behavior Supports; the Headstart Framework. Let us explain what we mean. Feelings fuel behaviors. And, all behaviors are actually a way to communicate feelings. For example, I’m so happy and excited to see you that I’m going to give you a big hug! Happy and excited feelings being communicated with a positive behavior—a hug. That promotes a positive relationship. Or, on the flip side, I’m so mad and I want that toy, so I’m going to yell at you and grab it. Mad and jealous feelings being communicated with not-so-positive behaviors—yelling and grabbing. That relationship might not be so positive. Start with self-awareness…what am I feeling? How do I communicate what I’m feeling? What behaviors am I using to express myself? Kimochis communication tools give children practice expressing their feelings, especially the upset ones, with behaviors that build and strengthen relationships. Instead of yelling and grabbing the toy when I’m mad or jealous, can I take a Calm-Down Breath and use a Talking Hand to ask for a turn? Can I use a Talking Tone of Voice instead of a Fighting Tone of Voice? Can I communicate those upset feelings with positive behaviors? The Kimochis Keys to Communication—the phonics of connection—are the tools to help us communicate feelings in positive ways. Eye contact, tone of voice, body language and more. The key ingredients to communicating successfully and building strong relationships. Personality plays a role in relationships too! Kimochis develop tolerance and acceptance. If only it were just about mastering the Kimochis Keys to Communication, but there’s more to it than that. We are all different. And, that can add another challenging layer to the way we communicate. I might “do” mad feelings different than you. I might get quiet and shut down when I feel mad. You might yell and scream and throw things. It’s important for us to learn about, understand, and accept each others’ personality and temperament, so that we can truly connect (with empathy) when we communicate. Each Kimochis character has a unique personality. The characters become a safe third-party for kids (and adults!) to relate to—”hey, that’s just like me!” The characters help children (and, yes, adults) identify how we come across. If you’re like Cat, you might realize that your strong tone of voice can sometimes seem a little bit bossy. You might want to practice Kimochis Key #2. Or if you discover that you’re like Huggtopus, you will be more aware of personal space and realize that not everyone wants a hug. Kimochis Key #5 might be a good one for you to focus on. Kimochis has Educator’s Tool Kits, curriculum, and workshops for classrooms and mental health professionals. There are also kits and characters and videos for parents. 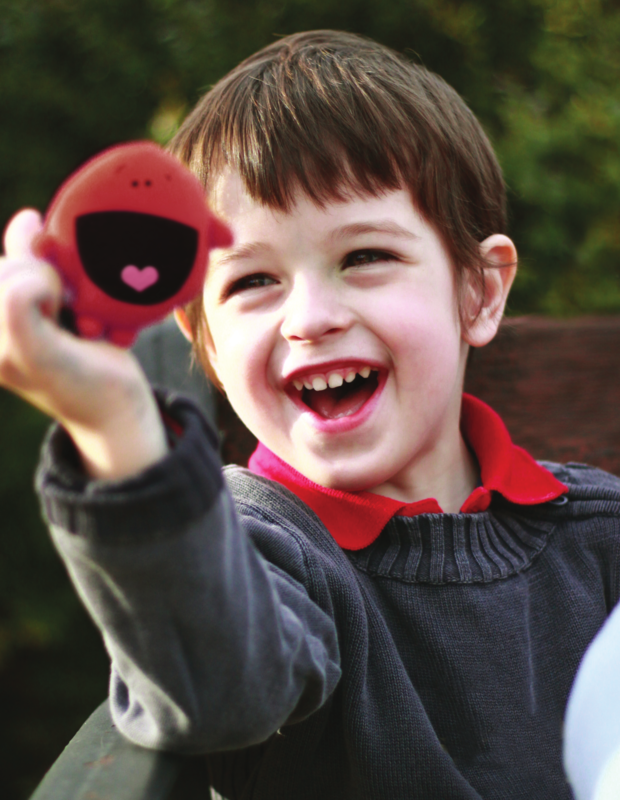 Whether you are using them at home, in the classroom, or in a professional mental health setting, Kimochis give you the communication tools for building emotional vocabulary, practicing basic communication skills, and developing empathy and resilience—key ingredients for emotional intelligence and success in all aspects of life. 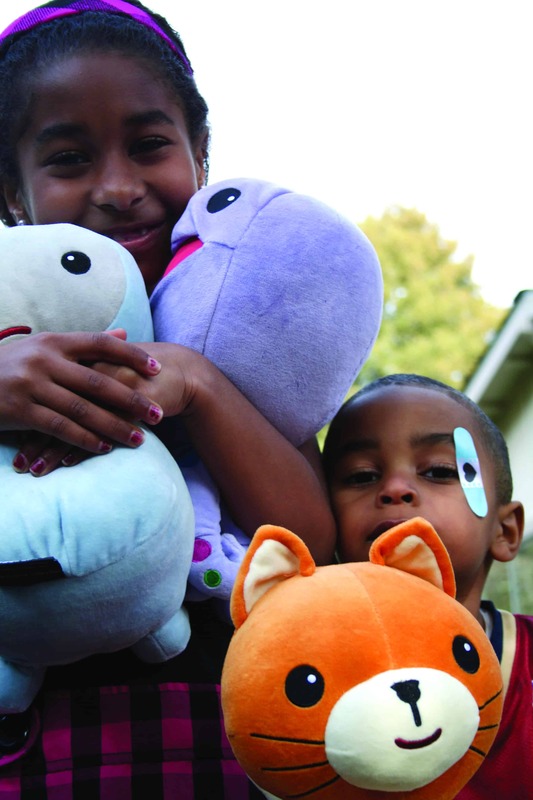 Kimochis are so much more than just another cute, soft, plush toy. The most important thing we give our children is emotional intelligence. Having completed the Happy movie which is about emotional balance, we know all happiness in human being stems from emotional intelligence. I love Kimochis. Early teaching of emotional intelligence in children is the most enlightened and powerful thing we do in early childhood. There is no program that teaches better than Kimochis!! !